Our small group work spaces each now have a Wacom Bamboo drawing tablet installed. You can use these tablets in conjunction with the Windows XP writing pad IME to input Mandarin/Kanji character strokes and receive autosuggest options you can pick you character from which make not only writing faster, but also reward you for remembering your characters, expose you to more and help you identify the correct one from a list of options. 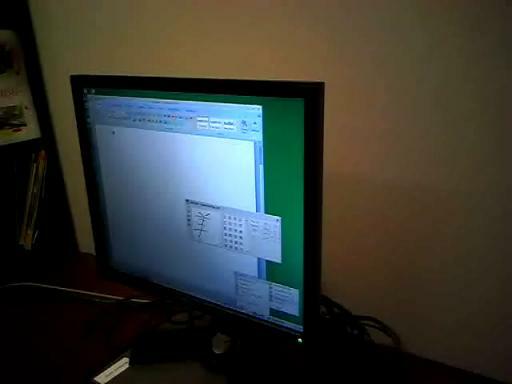 Here is what the Windows XP writing pad IME and Wacom tablet looks like in action: (behind the pen: our Japanese tutor). Open the application you want to write in, e.g. 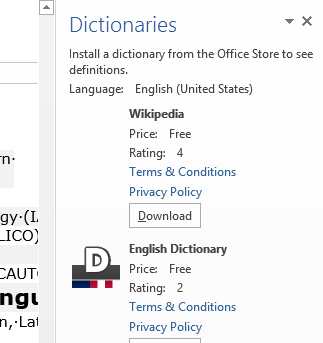 MS Word (the language input option is specific to the current window and defaults to”English-US international” in the LRC if you open a new window). In the taskbar, in the language toolbar section, select Japanese or Chinese or Korean. you need to have the handwriting IME installed for Japanese or Chinese or Korean in Control Panel / Regional and Language Options / Text Input, and East Asian language support). 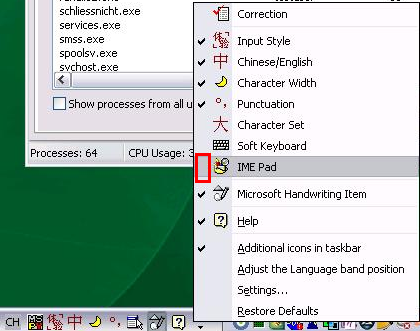 For simplified Chinese, the IME Pad may not be checked to be displayed by default. Access the Tools icon menu to check it. For both simplified and traditional Chinese, if checked, the IME Pad becomes a separate top-level ion in the language bar. Screencasts for Spring 2012 Student Staff Workshop: LRC layout,, calendaring, tutoring, example Japanese Using WebParts syntax to navigate OWA?